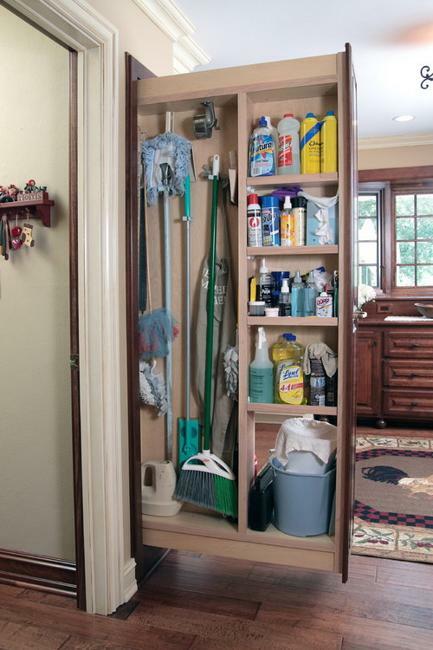 Sliding cabinets and carts are perfect home organizers for small spaces. 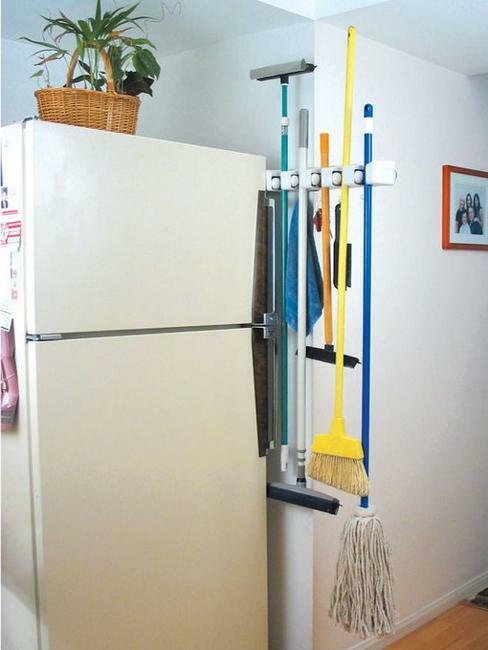 The vertical cabinets and sliding racks offer stylish, space-saving ideas for organizing brooms. 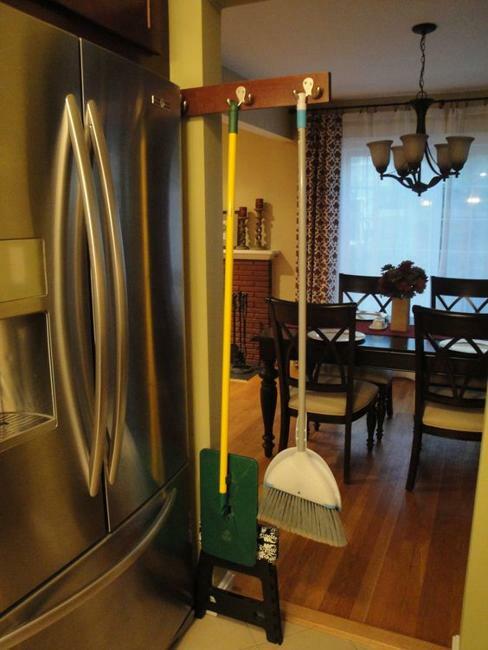 These unique home organizers are perfect for narrow spaces. Rails turn hard to reach hooks easily accessible increasing the functionality and appeal of modern kitchens, garages, or laundry rooms. The sliding carts, storage cabinets, and racks with hooks make contemporary additions to the existing storage furniture and home organizers in your home. 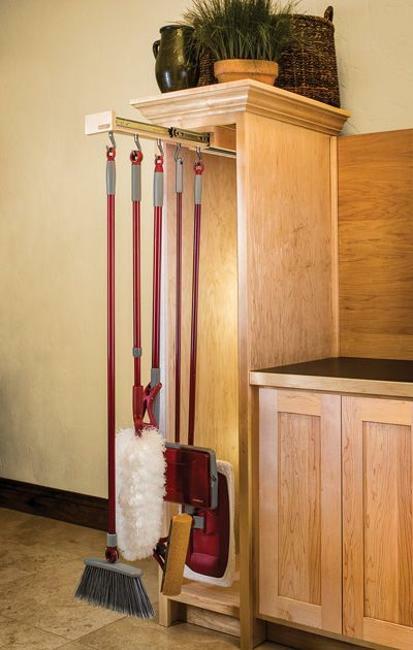 Sliding floor mop holders, broom utility carts, vertical cabinets with a convenient handle allow beautifully hidden storage and make home organization fun. 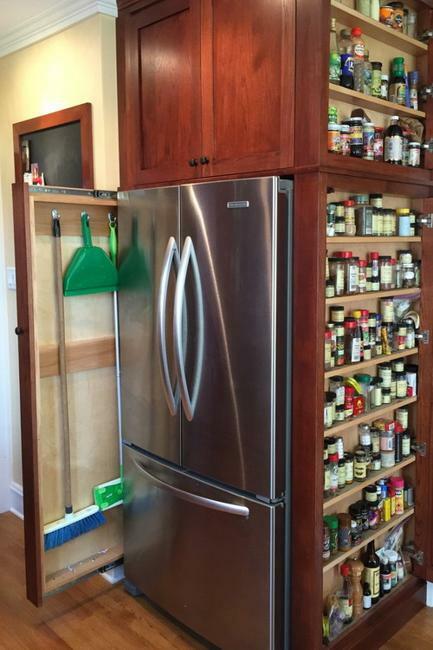 These creative storage ideas work like magic. 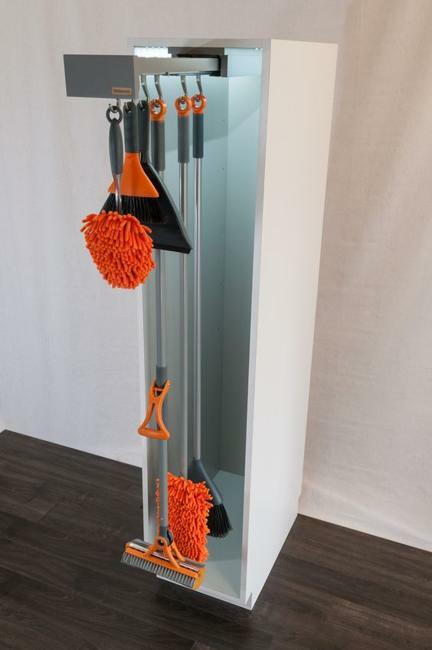 The space-saving, original, and stylish storage solutions for mops and brooms increase home values and amplify the appeal of modern interiors. DIY storage ideas help keep home interiors in perfect order while hiding unattractive utility items and maximizing small spaces creatively and elegantly. 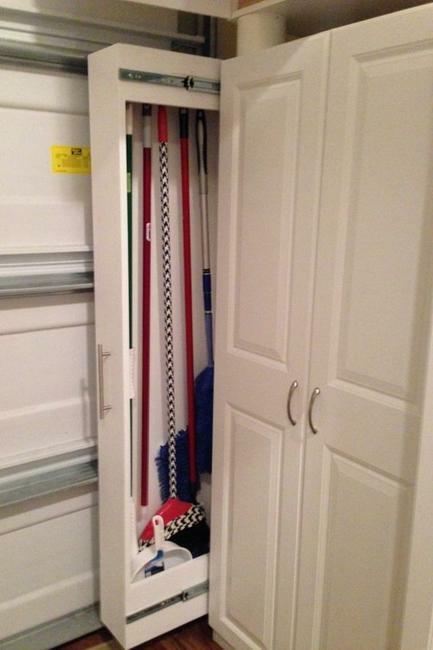 You pull the cart or rack to store your stick brooms when not in use and then enjoy the clean, clutter-free interior design. 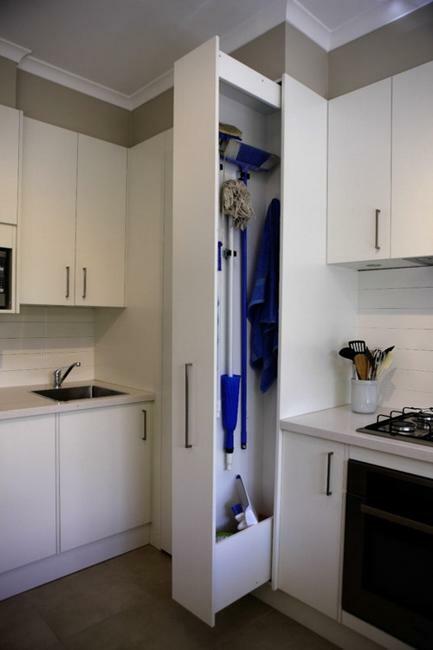 Slide and store are one of the beat design trends to improve home organization while efficiently using narrow and small spaces.